The Mission of the Infant Care Program is to provide high quality, affordable childcare and support for families with infants and toddlers. They offer quality care for infants from birth to 5 years of age. 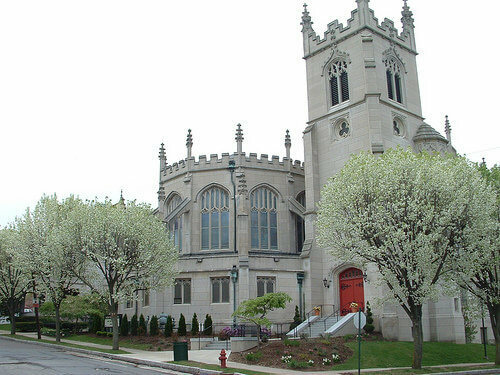 The interfaith network of volunteer food pantries housed in places of worship in the greater Scranton area including: Central City (Elm Park United Methodist Church); North Pocono (St. Catherine’s Church); North Scranton (St. Joseph’s School); South Scranton (St. John the Evangelist Church); Carbondale (First Presbyterian Church); Mid Valley (St. Michael’s Church). Monday: AA @ 8:00 P.M.
Tuesday: Alanon @ 1:00 P.M.
Saturday: AA @ 8:00 P.M.
Covenant regularly supports opportunities for our members to be involved directly in the support of agencies, organizations (or projects) making an impact in the life of others. Many organizations and projects are supported by Covenant through the Torrey Fund Endowment. Brong Ahafo Presbytery: Support given to our sister Presbytery in Ghana for their mission and ministry. Angel Tree Gifts and Deacon Baskets: Covenant works with local social service agencies to identify families who could benefit from gifts of food during the holidays.